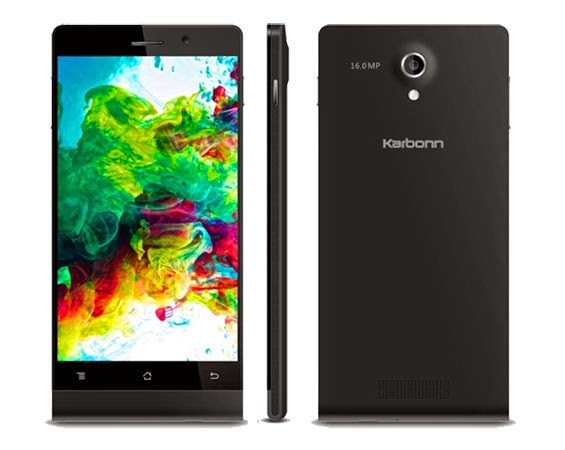 The Titanium Octane Plus is one of the popular budget phone from Indian brand Karbonn with high Configuration such as 16 MP camera, Octa-core processor, 16 GB internal memory. It has a unique design, body is made up of plastic which is shiny and smooth and feels slippery in hands. Corners are curved and screen has IPS Display with Full HD resolution. The CPU is 1.7 GHz Cortex-A7 with 2GB of RAM is sufficient for running HD games but may cause slight heating in phone. Battery capacity is 2000 mAh giving 15-20 hours backup for moderate user. Out of 16 GB Memory 7.67 GB can be used for Applications. The phone is so slim about 7.6mm thick. No LED notification Indicator for SMS, low battery, charging, and missed calls. Display is not protected with Gorilla Glass. Camera quality is not so good as mentioned it is 16 MP. Heating and battery draining- Check How to Solve Heating issue. Go to image setting and choose aspect Ration 4:3, after that you can choose 16 MP Camera. This is good option under budget phone with value added features in low price, while battery backup is slightly disappointing. Camera is 16 MP but don’t expect photos like Digital cameras, camera sensor is not that good. Configuration, look and design of phone is nice does not look like cheap phone.